A nerve block is an attractive procedure for the treatment of pain. The reason is that, while analgesics can attenuate pain, only nerve blocks can possibly eliminate pain. The ability to determine whether a nerve is involved in the pain reported by the patient, and identification of the exact source of complicated pains (e.g., whether they are of a peripheral or central origin). The ability to evaluate the role of sympathetic and/or somatosensory nerves in maintaining pain. The prediction of whether nerve destruction (by alcohol or thermal applications) will be successful in the treatment of the patient’s pain. 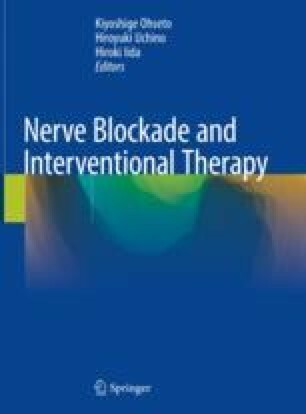 The nerve block itself, in some cases, can act as a radical treatment or otherwise can provide temporary remission by alleviating severe pain. Before applying a diagnostic block, sustained reproducible pain and physical activity should be evaluated in detail. Those findings can then be assessed after the block. While the effect of the nerve block can sometimes be great, due to the possibility of serious complications associated with it (by the drugs used and by procedure itself), it is necessary to pay sufficient attention to learning the appropriate procedures. In addition, the results of destructive interventions (especially using alcohol) can be greatly beneficial, but sometimes the resulting side effects are nonreversible. Thus, it is necessary to strictly observe therapeutic indications.